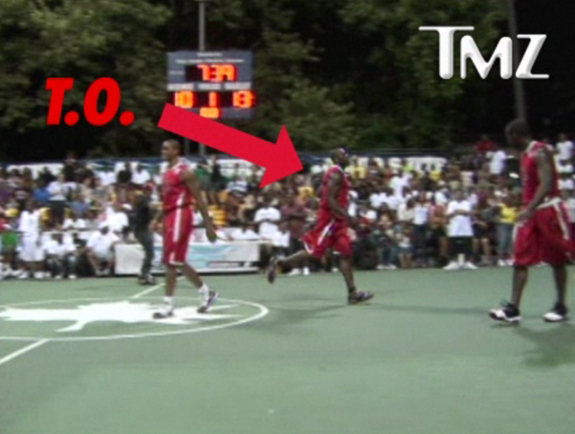 According to TMZ, Terrell Owens got “savagely destroyed in a street basketball game at New York’s legendary Rucker Park last night … when some dude caught an alley-oop over T.O. and smashed the rock down HARD!” Personally, I don’t think it was that bad, but the crowd was so hyped it definitely made for an embarrassing moment. Lesson to T.O., do not hang under the rim unless you can defend.